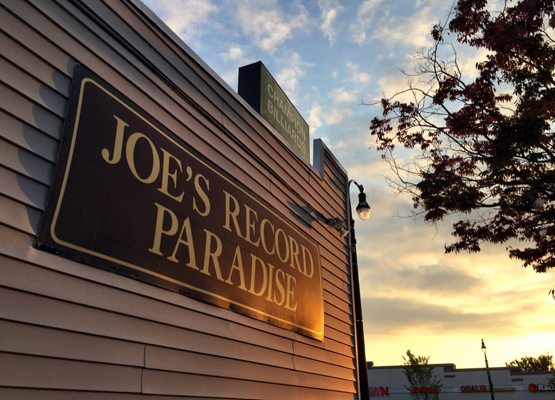 Joe’s Record Paradise – thankfully – is only moving up Georgia Avenue a few blocks. On my last visit to Joe’s I picked up The Record Men: The Chess Brothers and the Birth of Rock & Roll – the lone music history title in W.W. Norton’s Enterprise series that celebrates the virtues and achievements of Capitalism and Free Enterprise. 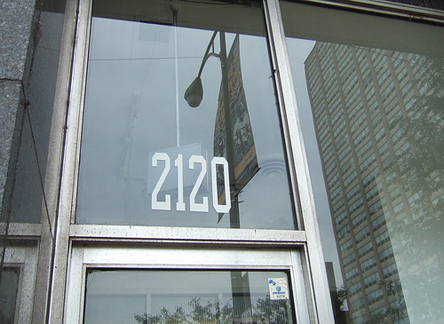 Rich Cohen, consequently, focuses on Leonard and Phil Chess and the immigrant experience in post-WWII America, as the two brothers carved out an entrepreneurial niche at a time when Chicago electrified the blues during the Second Great Migration. The success of the Macomba Lounge and its reputation as an after-hours music hot spot (that drew the likes of Max Roach and Ella Fitzgerald) would give Leonard Chess the inspiration to try his hand at recording this new blues sound as a music label proprietor. 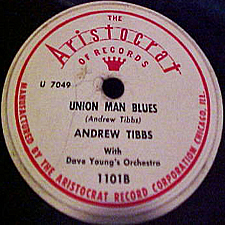 In 1947, Chess would buy a minority ownership stake in Aristocrat Records, the label that would become Chess three years later when Leonard and Phil acquired sole ownership of this independent musical enterprise. 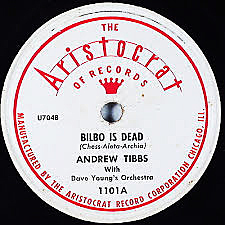 An original copy of the “Bilbo Is Dead” 78 would fetch just under $100 in 2013. Fifth Zero to 180 item tagged as Labor in Song. "1432 Franklin Pike Circle Hero"
"A World of Their Own"
"Ain't About to Lose My Cool"
"All the Things You Are"
"Anaheim, Azusa and Cucamonga Sewing Circle, Book Review & Timing Association"
"Apartment #4, Sixth Street & Cincinnati"
"Baby Can It Be True"
"Baby You Come Rollin' Cross My Mind"
"Baby You Done Flubbed Your Dub With Me"
"Baked Jam Roll in Your Eye"
"Behind My Baby's Bedroom Door"
"Blind Bats and Swamp Rats"
"Body Surfing With the Jet Set"
"Cast Off All My Fears"
"Clean Up Your Own Back Yard"
"Darling (I Miss You So)"
"De Knife, De Fork, De Spoon"
"Ding Dong! The Witch Is Dead"
"Everybody Knows I Love You"
"Fifteen Gears and Fourteen Wheels"
"From the Bottom of My Heart"
"Get That Hump in Your Back"
"Go Away from My World"
"God, Love & Rock 'n' Roll"
"Gonna Get Along Without You Now"
"Gonna Have a Good Time"
"Good Luck 'n' Good Truckin' Tonite"
"Greenwich Village Folk Song Salesman"
"Have You Dug His Scene"
"I Can't Tell the Boys From the Girls"
"I Get the Blues When It Rains"
"I Just Want to Touch You"
"I Think I Love You"
"I Wanna Grow Up to Be a Politician"
"I Won't Make That Mistake Again"
"I'm a Sucker for a Girl Like That"
"I'm Gonna Get Me a Gun"
"I'm the Sexiest Gal in Town"
"I've Got a Happy Heart"
"I've Got Five Dollars and It's Saturday Night"
"I've Got to Be Strong"
"If You Never Say Goodbye"
"In My Heart I'm a Free Man"
"In the Jailhouse Now #2"
"It Could Have Been Better"
"It's Better to Have It"
"Jazz Ain't Nothin' But Soul"
"Judas to the Love We Knew"
"Juke Box Play for Me"
"Just Can't Be That Way"
"Just Like Anyone Would Do"
"Keep Them Big Wheels Hummin'"
"La Poupée Qui Fait Non"
"Lament of the Astral Cowboy"
"Last Wave of the Day"
"Legend of the Big Steeple"
"Let Go of You Girl"
"Let the Music Take Your Mind"
"Living on a Prayer, a Hope & a Hand-Me-Down"
"Long After Tonight Is All Over"
"Love Me When I'm Down"
"Love the Boy Who Loves You"
"Love to Be Loved by You"
"Mama Sure Could Swing a Deal"
"Mama Was a Honky Tonk Woman"
"Man Came Down From the Mountain"
"Me Me Me Me Me"
"Meu Mundo É Uma Bola"
"Misadventures of the Campaign Kids"
"Mr. Cole Won't Rock and Roll"
"No Good – Robin Hood"
"Ooh Baby"/"Wrecking My Love Life"
"Papa Left Mama Holding the Bag"
"Philadelphia – Greatest Little City in the USA"
"Prayer of a Truck Driver's Son"
"Santa Claus Hides in Your Phonograph"
"She's a Friend of Mine"
"Since My Baby Hit the Numbers"
"Sitting Here on a Tongue"
"Some of Them Bones Are Mine"
"Some Things Just Stick in Your Mind"
"Summertime's Another Name for Love"
"Take a Run at the Sun"
"Tell It to My Heart Sometime"
"Ten Commandments (from Woman to Man)"
"The Americans (A Canadian's Opinion)"
"The Flying Saucer Man and the Truck Driver"
"The Little Girl I Once Knew"
"The Only Thing to Do"
"The Rabbit Got the Gun"
"The Singer Sang His Song"
"The Sun Is Going Down"
"The Whole World Holding Hands"
"There Ain't No Easy Run"
"There Are More Questions Than Answers"
"This Is the Shortest Song in the World"
"Time to Get It Together"
"Tired of Waiting for You"
"Tonight My Baby's Coming Home"
"Tributo a Martin Luther King"
"Truck Stop at the End of the World"
"Tu As Peur du Bruit"
"Tunin' Up for the Blues"
"Two Old Cats Like Us"
"Uncle Booger Red & Byrdie Nelle"
"Up and Down the Road Again"
"Wave Bye Bye to the Man"
"We All End Up in Boxes"
"We Have Ways of Making You Laugh"
"What You're Doin' to Me"
"When I Come Driving Through"
"When I Go to the Beach"
"When I Was A Boy"
"When You Gonna Bring Our Soldiers Home"
"While My Guitar Gently Weeps"
"Who Needs Your Cold, Cold Love"
"Wildwood Flower on the Autoharp"
"Wish You Didn't Have to Go"
"You Deserve a Break Today"
"You're So Nice to Be Near"
"Your Mama Put the Hurt on Me"
"Your Teeth and Your Tongue (Will Get You Hung)"
"Your Thing Ain't Good Without My Thing"
"Your Wiggle and Your Giggle"